Readers of Justice in Conflict will know that the posts rarely, if ever, step out of the bounds of issues concerning transitional justice and conflict resolution. Sometimes, however, issues that aren’t directly related to either are so morally outrageous that they spur my eager fingers to type. The joint announcement by French President Nicolas Sarkozy and embattled Italian Prime Minister, Silvio Berlusconi that the EU’s borders should be closed because of the “emergency” in the Arab world is one of those issues. My apologies if some of what follows sounds exasperated and overly polemical. “France and Italy have thrown down the gauntlet over Europe’s system of passport-free travel, saying a crisis of immigration sparked by the Arab spring was calling into question the borderless regime enjoyed by more than 400 million people in 25 countries. According to reports, some 25,000 migrants have arrived in Italy since the beginning of the so-called ‘Arab Spring’. France and Italy have recently been feuding over the fate of the migrants, with French officials fuming over the issuance of visas in Italy to migrants, thus allowing them to travel freely within most of the EU. France responded by issuing border controls and stopping trains carrying Tunisian migrants. This week, they agreed on a joint policy to pressure the EU to severely restrict immigration into the Schengen area. It is up to the EU Commission and other EU nations to prevent this abrogation of responsibility from going forward. Berlusconi and Sarkozy maintain that unless the borders are closed and some of the refugees and asylum-seekers who have managed to make it into the EU are deported, the seismic changes in the Arab world “could swiftly become an out-and-out crisis capable of undermining the trust our fellow citizens place in the free circulation within the Schengen area.” Sarkozy added that “For the treaty to stay alive, it must be reformed.” Both leaders want the exodus of North African refugees to Europe to be labelled an “emergency”. France and Italy are telling Europeans that unless the EU turns its back on displaced peoples seeking refuge in Europe, the Schengen Area, which allows free and unrestricted travel among participating states, would be at risk. It is fear-mongering at its worst. 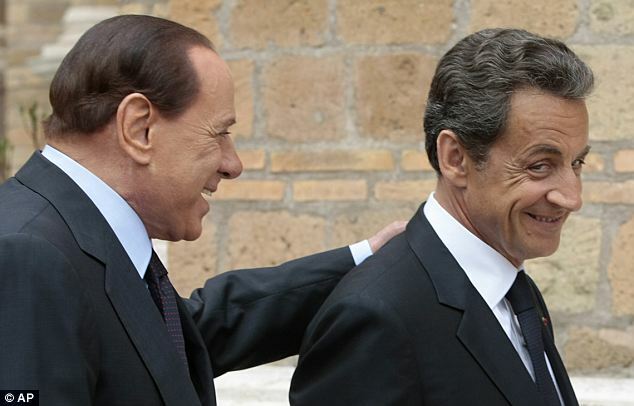 Sarkozy and Berlusconi are seeking to label the arrival of thousands of north African citizens to Europe as an “emergency”, implying that in the right to asylum and free movement should be frozen. As such, it carries uncomfortable shades of the nationalist fervour of some of the most brutal, autocratic regimes in modern history where the rights of citizens were quashed in the name of “emergency”. This is not a question of defending Schengen. It is a question of fairness, responsibility and justice. The rights of asylum and free movement are being withered at the expense of two politicians pandering to populists and nationalists. Let it be clear: these “partner” countries owe France and Italy nothing. Let us not forget that both Italy and France played key roles in propping up the regimes which are now being undermined by pro-democracy movements. The cozy relationship between France and Tunisia, whose fleeing citizens are the main impetus for the Franco-Italian declaration, has been described as scandalous. Eric Pape recently wrote that the upheaval in the Arab world “have exposed the moral bankruptcy of France’s foreign policy.” In 2007, Libya and France signed a £200m arms deal which was viewed as an indication of thawing relations between the West and Libya. Berlusconi “went gaga for Gadaffi”. Libya is Italy’s largest supplier of oil while Gadaffi owns 7.5% of Unicredit, Italy’s largest bank, 2% of the Italian oil company ENI, 2% of the country’s second largest industrial group, Finmeccanica and 7% of the Turin-based Juventus soccer club; In 2008, Italy agreed to invest $5 billion in Libya in exchange for tight immigration controls for African migrants in Libya. The problem, of course, is that both France and Italy contributed to this mess and have a responsibility to contribute to its resolution. That includes guaranteeing the safety of the citizens who have fled. This entry was posted in Europe, European Union (EU), France, Immigration, Italy. Bookmark the permalink. Mark, the problem here is that Europeans, particularly Italy and France, have had such tough problems in integrating the previous generation of immigrants from the primarily Islamic Maghreb countries. It’s a long topic, as you recall. Now, …that France and Italy are actively aiding pro-democracy forces in the Arab world, the last thing they want on their shores is another wave of immigrants. Remember – the EU economies are not that strong and there’s lots of popular resentment against ‘people from abroad taking our jobs’. So the elected governments walk a thin line between opennes and being brought down by much more nationalistic, conservative-minded parties that have sprung up in much of Europe. I will also add that the French policy towards former colonies such as Tunisia has been, hmm, hypocritical at times but also premised on the principle that every nation-state actor adheres to…and that is “let’s work with whoever is in charge, unless they’re complete madmen”. There is a certain amount of ruthlessness to this expediency but this is something that all sovereign states do, in their foreign policy conduct. At summits and conferences, Western political leaders do have to occassionally sit down AND DEAL with complete despots and have awkward polite conversations.